This course is for people who come from any religious background. 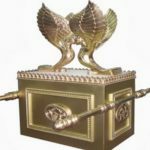 It will first explain God's giving of the Torah to Moses and the Jewish people, which included the Seven Universal Noahide Commandments for all mankind. We will explore the ways that God uplifts mankind and any individual through these Seven Commandments, and the branches of personal and societal morality and ethics that logically branch out from them. To further understand this, the course will introduce the earlier origins of the Noahide Commandments, which can be found in the Book of Genesis. We will examine how they presuppose a belief in the One God from the perspective of Torah. 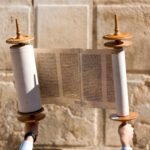 We will also cover the related topic of true prophecy, including the unique and public Divine revelation to Moses during the assembly of the estimated three million Jews who experienced God speaking at Mount Sinai. We will highlight the rationale by which this leads to a faith based on knowledge. The mission to perfect the world through the Seven Noahide Commandments was entrusted to Non-Jews as well when God gave the Torah. This course will make clear that everyone has the ability to help make God’s purpose and goal for creation a reality. Since Biblical times, a Non-Jew's search to live a life that is objectively moral and good is first and foremost founded upon the Noahide Code. In order to get your Certificate you may download it directly on your Profile page or you can send an email to: RabbiPerets@noahideacademy.org (you will receive it by email with the hebrew date). This course is the prerequisite for our next course at the Intermediate level, on the Foundations of the Noahide Code. Understand the authenticity of the Torah (the Five Books of Moses with God's explanations), which was given by God through Moses. Hi,I need the scripture references,ie where are the commandments are written on the first day of creation? The Talmud explains how all of the 7 Noahide Commandments are encoded within the Hebrew text of Gen. 2:16. This was spoken by G-d on the day that Adam was created, which was the 6th Day of Creation. Sir, I got the certificate, but my name is “Alina Abbas Zaidi” and in certificate it is “alinaabbaszaidi” , can you please correct it ! You can send me an email to noahideinfo@gmail.com so we can send you your new certificate. Very helpful information. Makes me realise there is so much to learn about being a Bat Noah. Only one correct answer per quiz! Some answers may be also right but there is only one answer to the specific question. You may also post your questions in the Course Forum! Pls am I in this course? Hi, how do you ‘retake’ the course if you have failed a quiz 3 times? Shalom! I failed quiz number 4 (I got 3 out of 5). Is it possible to take the quiz a third time? Are the audio lessons the same as the video lectures?! I watched all the videos & completed the quizzes but it only marks 76% complete?! Plus, I failed two quizzes, how can we see the correct answers?! Some of the choices are too similar. Shalom Erik. Yes the audio lessons are generally the same as the video lessons. They are there to allow you to hear the classes on your mobile phone or when you cannot watch the video lessons! The audio lessons are generally the same as the video lessons. We need still to mark them as complete in order to get 100%. You can re-take the quizzes 3 times. 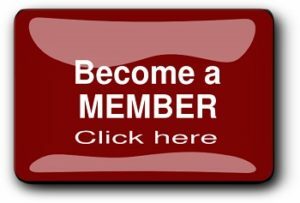 In order to know what is the right answer you may post the question on the Forum here: http://www.noahide-academy.com/forums/ or send us an email.